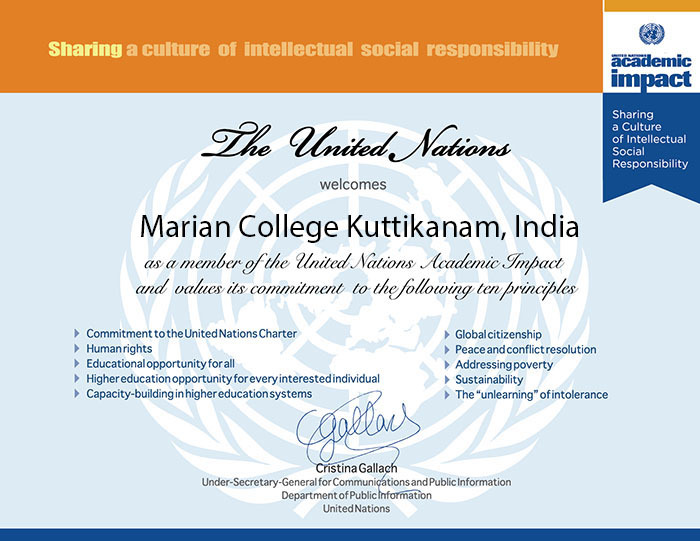 Marian College Kuttikkanam (Autonomous) is now a member of the United Nations Academic Impact! What is The United Nations Academic Impact (UNAI)? 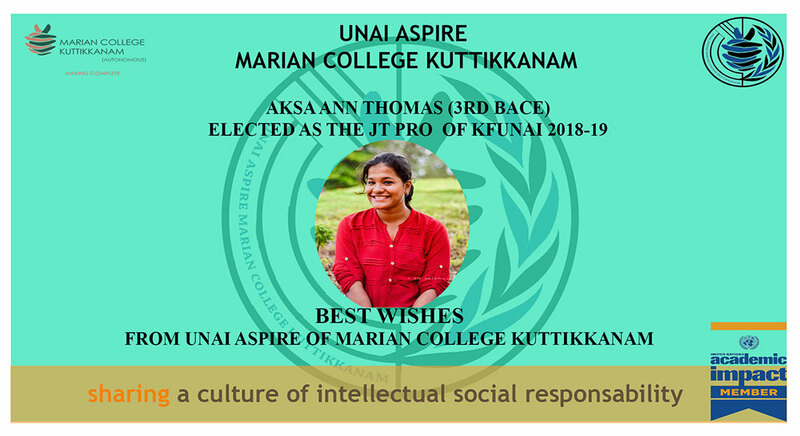 The UNAI is a global initiative that aligns institutions of higher education with the United Nations, cultivating a shared culture of intellectual social responsibility through activities and research.With this step, Marian College Kuttikkanam (Autonomous) joins over 1200 institutions in more than 120 countries who are working with the United Nations to promote global priorities, including peace, human rights and sustainable development. As a UNAI member, we are required to carry out at least one activity in support of UNAI’s principles during a calendar year. 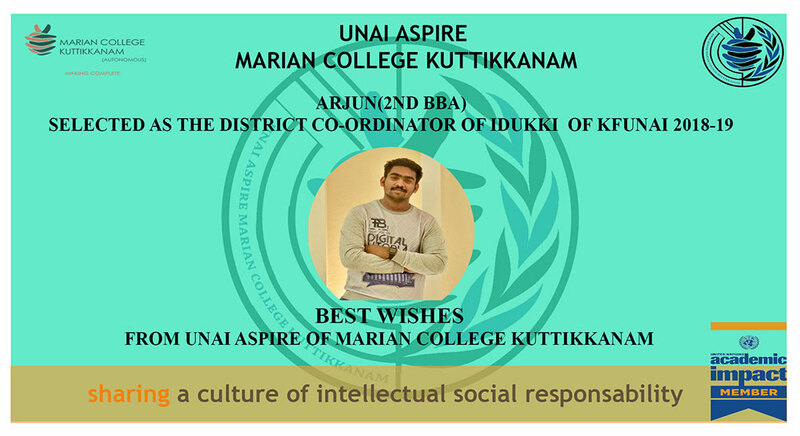 We have to keep the UNAI informed about our activities, This will give Marian students and faculty members recognition in the international platform and will help to showcase their activities in a global forum. It also aids networking and collaborating with other like-minded institutions and achieving bigger better results impacting the society at large. "Facilitating a platform to enrich the uninformed"
"To forge out a crew to unveil the full potential of the underprivileged community around us"